Joanne Ross is Head of Legal & Regulatory Affairs at Bord Gáis Energy. Since joining in 2011 she has played a key role in leading the organisation through some major change including its privatisation and sale to Centrica plc and the de-regulation of gas prices. 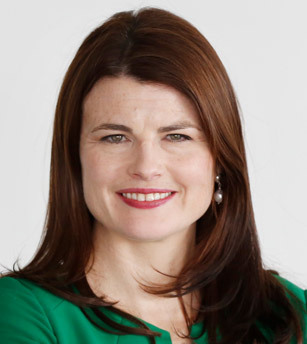 Prior to joining Bord Gáis Energy Joanne held General Counsel and Company Secretary roles in both the FMCG and IT industries and also worked in private practice with McCann FitzGerald solicitors, specialising in mergers & acquisition and corporate finance. Joanne has a Bachelor of Civil Law degree from University College Dublin and holds an IOD Diploma in Company Direction. She is the current Chairman of the Electricity Association of Ireland.